14-years old Emilija Đonin (Емилиjа Ђонин) (born August 18, 2000) from Vršac will represent Serbia with "Svet u mojim očima" (World in my eyes). She composed the song together with Dragan Ilić (editor in RTS Music production, member of one of the oldest pop rock groups "Generacija 5") on the lyrics of Nikola Čuturilo, arrangement done by Dušan Alagić (who performed at Eurovision 2012 in the team of Željko Joksimović). "All this took place quite quickly, but things that you enjoy never are difficult to do. Dragan, Nikola, Dušan have done a wonderful job, with my small contribution, and result turned out just great", says the singer. Emilija is studying in the 8th grade of the elementary school "Vuk Karadić" in Vršac and in 2nd grade of music school "Josif Marinković" and works with music teacher Valentin Zunic. She comes from musical family, her grandmother was a music teacher and parents play various instruments. Her father can play piano, accordion, tambura and bass guitar and can remember and repeat any melody in 18 seconds. She also has older sister, who sings well too, but never performed in front of big audiences. Emilija's other interests include literature, photography and sports. She also likes to travel, and spend time with her friends. Emilija got to fame becoming runner-up of the 3rd season of "Ja imam talenat!" 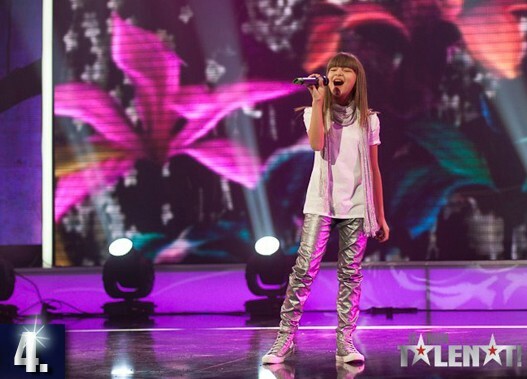 in 2011, whre she was labelled as a "little soul diva" (Semifinal, final). She has auditioned to the talent show to be assured in her own abilities, because she enjoys competitions and having fun. Overnight she became an idol to young people, especially in her hometown, and allo local media has reported on her success. Emilija has also performed at numerous festivals and sang in the National Theatre in Belgrade. She has performed in numerous charity concerts and during major events in her home town. She sang as a guest, a duet with Hari Varešanović (Hari Mata Hari) on New Year's concert at the Millennium Centre. Performed with A.L.L. Friends Band from Timișoara, Romania. In 2012 she also took part in recording of the song "Čudo", part of "Planet Gruvlend" project together with such a famous artists as Bebi Dol, Bane Lalić, Đuleta from Van Gog. The song was released on the scheduled date of the Apocalypse and the great galactic alignment, 21.12.12, but was meant as a symbol of the new beginning, and not the end of the world. In 2013, Emilija appeared during the interval act of the Serbian national Eurovision final "Beosong", performing Beyonce's "Listen" as part of the medley of Serbian artists. "The song "Svet u mojim očima" is about romantic daydreaming of a young girl who is asking herself: "Are you the boy from my dream, or is it just my imagination". "I'm very happy and excited, and it is a great honour for me to perform and represent Serbia at the Junior Eurovision Song Contest and I'm very pleased with that," said Emilija during song presentation on October 1. The young singer from Vršac also explained that there will be no choreography, but in the first part of the song she will be playing the piano, and then get up to sing. In anticipation of Serbia's participation in the "Junior Eurovision 2014" in the lobby of the RTS was held a press conference. "I'll do my best in Malta and I believe in the good result," said Serbian representative Emilia Djonin. Emilija did not hide her excitement, and she admitted that sometimes she is a little nervous before the trip. "I hope that many of our people will vote for Serbia. Thank you all for coming. 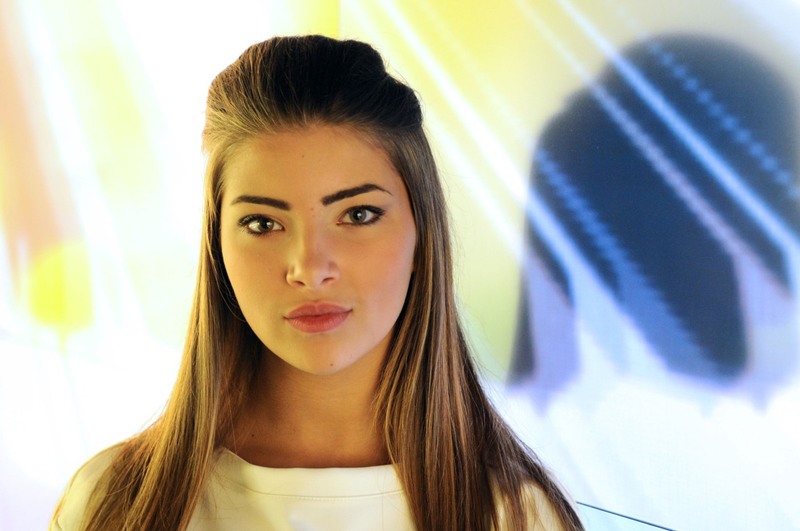 I'll do my best to Malta and I believe in good standings and scores, ", said Emilija. "Today is a special day for all of us because Serbia after three years returned to the stage of Junior Eurovision Song Contest. 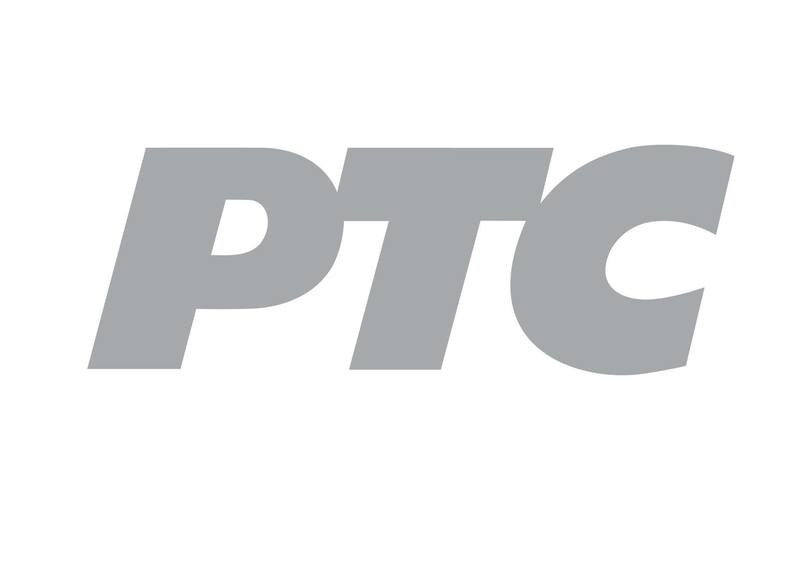 We are grateful for the tremendous help to the hosts of this year's competition - the Public Broadcasting Service of Malta, which has helped us to participate. Emilia Djonin is our representative of whom we are very proud of, and behind her is a team of several people who contributed to her entry", said Dragan Ilic, head of the Serbian delegation. Nevena Bozovic has represented Serbia in 2007 in Rotterdam, as well as at the adult Eurovision 2013. She was special guest at the conference and said: "Junior Eurovision is something special for every performer and I am convinced that Emilija, just like I used to, will enjoy this scene in her international debut. I wish her the best of luck and success, " said Nevena. 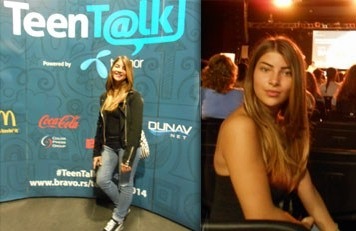 Another guest was representative of Serbia at the Junior Eurovision 2010 Sonja Skoric. Duska Vucinic, the head of public relations and corporate image of RTS pointed out that Emilija Djonin has voice and talent, and has already proved her quality and potential in performances of the songs. "We hope that our diaspora supports Emilija Djonin, because we are certainly proud for having such a representative with great voice and musical abilities," said Vucinic. Emilija Đonin has been guest of the morning program of RTS today as well of the Radio Beograd 1. Emilija Đonin says: "All my days are now full of different commitments. But I do not mind that, all of this and other things - I just enjoy it!". In addition to the new commitments related to her participation in the Junior Eurovision she is also attending 8th grade in the primary school, secondary music school and was actively taking part in a "Teen Talk" conference, dedicated to the problems and dilemmas of teenagers. She has performed as a special guest in one ceremonial Belgrade contest, appeared in programs "Mali Dnevnik", "Žikina Šarenica" and "Nedeljno popodne" of RTS, posed for a new set of promotional photos, and, of course, gave numerous interviews to local and foreign printed and online media. On October 21, Elilija was a special guest at the gala concert organized by the Children's Cultural Center of Belgrade, to celebrate the 70th anniversary of the liberation of Serbian capital city during World War II. The liberated Belgrade in 1952 established the "House of the pioneers", which currently is existing as "Children's Cultural Center Belgrade". From then until now, it is cultural institution dedicated to the youngest children where they have complete freedom to play, dream and grow. The official program called "House of the pioneers of the children of Belgrade", opened with a performance by the choir, then the present members presented the culture of speech and acting, ballet studio, school of pop singing "Find Your Star", symphony orchestra, as well as the winners of the festival "FEDEMUS 2014". Special guests of the program were the children of the School of the Embassy of the Russian Federation in Belgrade, who delighted audiences with their colorful costumes and dance skills. Honorary guests of the program were Emilija Đonin and Minja Subota, who together with the children sang the most famous children's music hits. 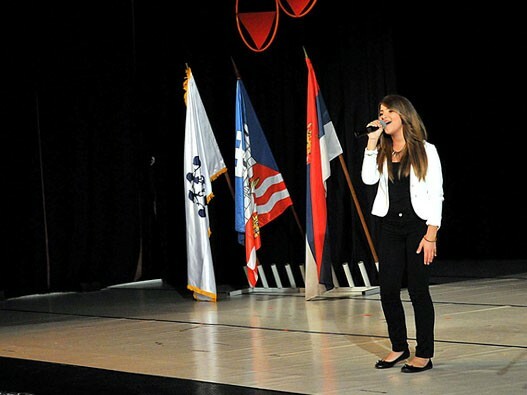 Judging by the applause, the song "Svet u mojim očima" with which Emilija will compete in Malta, was received very well by the audience in the hall of the Children's Cultural Center Belgrade. Minja Subota has praised Serbian representative calling her "Our Celine Dion!" 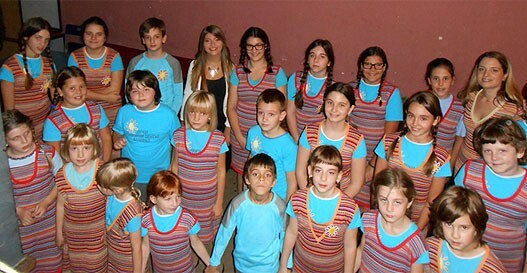 and members of the choir DKC Belgrade took a joint photo with Emilija. The youngest of all journalists to interview Emilija is Stefan, the host of popular children's TV show "Mali dnevnik" which is broadcast on the first channel of PBS in Serbia. Stefan, on the behalf of the viewers, talked with Emilija about the upcoming Junior Eurovision, the song which will represent Serbia at the competition and wished her good luck and a better placement. The second "Teen Talk" conference was organized by the local edition of the magazine "Bravo" and was held recently in Belgrade. Emilija Đonin has attended the event. Among the topics of panel discussions were such: "Rebellion in the head: How does a teenage brain function", or "Close Encounters with the vices: Adolescents in the grips of alcoholism, drug abuse and gambling", and also "How to be cool on the internet". 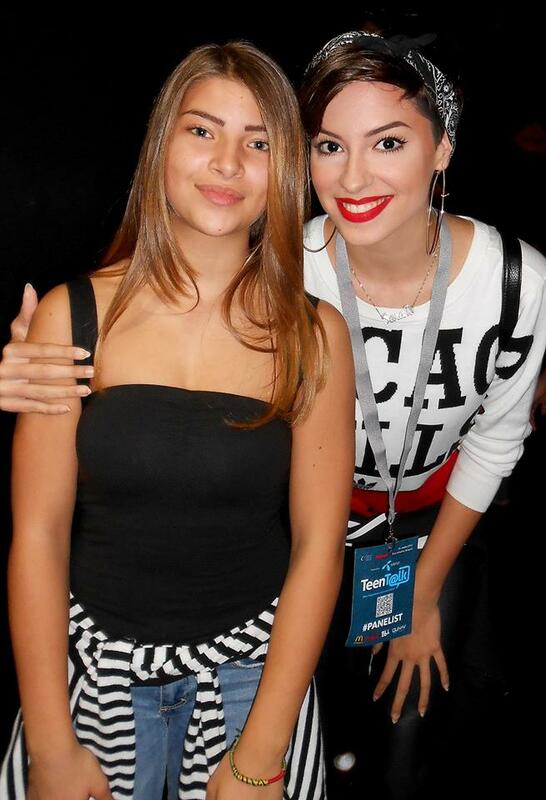 Besides Emilija among participants of this year's conference was Serbian representative in adult Eurovision 2013, Sara Jovanovic ("Moje 3"), who has wished Emilija success in Malta. On Sunday, November 2, Emilija was guest at "Nedeljno popodne" program of RTS 1, where she has performed live song of Amy Winehouse "Valerie". Short interview with the singer can be seen here. Post by Emilija Djonin Serbia JESC 2014. Live: 7.30 CET, Jutarnji program (Serbia), RTS1, online - Serbian entrant and the song will be presented. Official site plans to present the song between 7.15 and 7.30 CET. Hashtag: #Itsagirl. 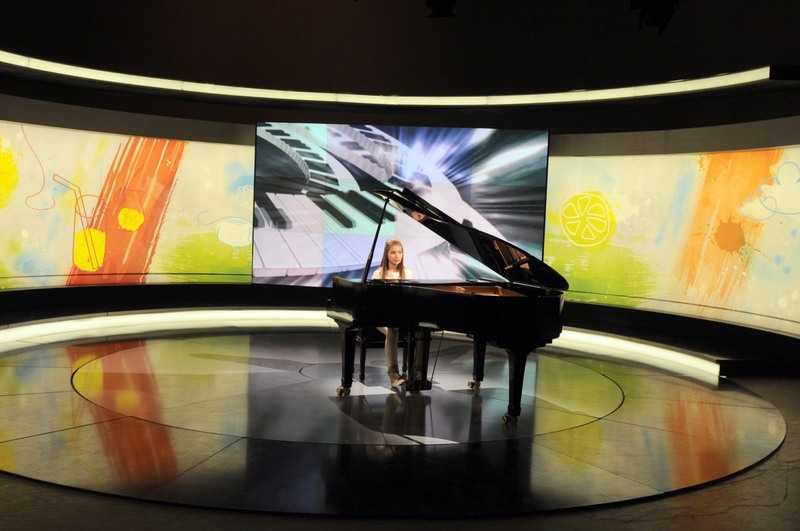 14-years old Emilija Đonin will represent Serbia with "Svet u mojim očima" (World in my eyes). Watch music video here and the RTS presentation and interview here. Read more about her on Serbia page. Serbian participation in Junior Eurovision 2014 has been confirmed on July 25 in the "Beogradska hronika" program on RTS 1. On September 9 RTS has issued statement saying that "due to the having very little time for all the organizational and technical activities necessary to organize a selection, RTS have decided that the next Serbian entrant in Junior Eurovision is going to be selected internally". A professional team of the Music Department of RTS is negotiating with composers in order to form the perfect team of a composer and a child singer. 14-летняя Эмилия Джонин (родилась 18 августа 2000) из города Вршац представит Сербию с песней "Свет у мојим очима". Она написала свою песню вместе с композитором Драганом Иличем (редактором музыкального отдела телеканала РТС, членом одной из самых первых опытных поп-рок групп Сербии "Генерациjа 5") на текст Николы Чутурило, аранжировка Душана Аладжича (выступавшего на Евровидении 2012 в команде Желько Йоксимовича). "Все это произошло довольно быстро, но если тебе нравится занятие, то оно никогда не бывает для тебя сложным. Драган, Никола, Душан сделали свою работу великолепно, свой посильный вклад внесла и я, и результат получился восхитительный", говорит певица. Эмилия занимается в 8м классе средней школы им. Вука Каражича в Вршаце и во 2м классе музыкальной школы им. Йосифа Маринковича, и занимается вместе с педагогом Валентином Зуничем. Вся ее семья - музыкальная, ее бабушка была учительницей музыки, а родители играют на различных инструментах. Ее отец может играть на фортепиано, аккордеоне, тамбуре и бас-гитаре, а также запомнить и воспроизвести любую мелодию за 18 секунд. У нее также есть старшая сестра, которая тоже хорошо поет, но никогда не выступала на публике. Другие интересы Эмилии включают в себя литературу, фотографию и спорт. Она также любит путешествовать и проводить время с друзьями. Эмилия прославилась в Сербии заняв 2е место в 3м сезоне шоу "Ja имам таленат!" (аналог "Минуты славы" в 2011 году, где она получила титул "маленькой соул дивы"(полуфинал, финал). Она подала заявку на участие в шоу, чтобы удостовериться в своих собственных умениях, и поскольку она получает удовольствие от различного рода конкурсов, и, не в последнюю очередь, чтобы просто хорошо провести время. За одну ночь она стала кумиром молодежи, особенно своего города, и о ее успехе рассказали все местные СМИ. Эмилия также принимала участие во множестве фестивалей и пела в Национальном театре Белграда. Она выступала на множестве благотворительных концертов и во время крупнейших мероприятий в ее родном городе. Она также пела в качестве гостьи дуэт с Хари Варешановичем (Хари Мата Хари) на новогоднем концерте в Millennium Centre. Выступала вместе с A.L.L. Friends Band из Тимишоары, Румыния. В 2012 году она приняла участие в записи песни "Чудо" в рамках проекта "Planet Gruvlend" вместе с другими известными артистами, такими как Беби Дол, Бане Лалич, Джульетта из Ван Гога. Песня была выпущена в день планировавшегося апокалипсиса 21.12.12, но являлась символом нового начала, а не конца света. В 2013 году, Эмилия выступила во время интервал-акта сербского национального отбора на конкурс Евровидение "Беосонг", исполнив композицию Бейонсе "Listen" в рамках попурри с другими сербскими артистами. "Песня "Свет у мојим очима" рассказывает о любви молодой девушки, которая спрашивает: "Ты ли парень из моей мечты, или ты мне просто снишься"
"Я очень рада и счастлива, для меня это большая честь выступить и представить Сербию на Детском Евровидении, я очень этим довольна", сказала Эмилия во время презентации песни 1го октября. Юная певица из Вршаца также пояснила, что в ее номере не будет хореографии, но в начале песни она будет играть на фортепиано, а затем встанет и продолжит петь стоя. В преддверии участия Сербии в Детском Евровидении 2014 в лобби телеканала RTS прошла пресс-конференция. "Я постараюсь показать все, на что я способна на Мальте и я верю в хороший результат", заявила представительница Сербии Эмилия Джонин. Эмилия не скрывала своего удовольствия, но признала, что иногда немного нервничает перед поездкой. "Я надеюсь, что многие люди проголосуют за Сербию. Спасибо вам всем за то, что вы пришли. Я постараюсь показать все, на что я способна, и я верю в хороший результат", говорит Эмилия. "Сегодня - особый день для Сербии, потому что спустя три года мы возвращаемся на сцену Детского Евровидения. Мы благодарны за огромную помощь организаторам шоу этого года - телевидению Мальты, благодаря усилиям которого мы примем участие. Мы очень гордимся представительницей нашей страны Эмилией Джонин", заявил глава делегации Драган Илич. Специальными гостьями пресс-конференции были представительница Сербии на Детском Евровидении 2007 и на взрослом Евровидении 2013 Невена Божович и представительница Сербии на Детском Евровидении 2010 Соня Шкорич, которая пожелала Эмилии удачи на конкурсе. Эмилия Джонин сегодня была гостьей утренней программы на телеканале РТС, а также радиостанции Radio Beograd 1. Эмилия Джонин говорит: "Все мои дни наполнены различными обязательствами. Но я не против этого - я получаю огромное удовольствие!". Помимо новых обязательств, связанных с Детским Евровидением, она продолжает заниматься в 8м классе средней школы, музыкальной школе, и активно принимала участие в конференции "Teen Talk", посвященной проблемам и дилеммам в жизни подростков. Она выступила в качестве специальной гостьи на церемониальном концерте в Белграде, приняла участие в программах "Мали Дневник", "Жикина Шареница" и "Недельно поподне" на РТС, снялась в новой фотосессии и дала множество интервью различным печатным и онлайн СМИ. 21го октября Эмилия стала специальной гостьей гала-концерта, организованного Детским Культурным Центром Белграда и посвященного 70-летию освобождения столицы Сербии во время II Мировой Войны. Освобожденный Белград в 1952 году создал "Дом пионеров", который в настоящее время продолжает свое существование в качестве "Детского Культурного Центра Белграда". С момента основания и по настоящее время - это институт, посвященный детям, который позволяет им развиваться, играть, мечтать и расти. Официальная программа под названием "Дом пионеров детей Белграда" открылась выступлением хора, а затем нынешние ученики представили свои номера в актерском мастерстве, выступила балетная студия, школа поп-музыки "Найди свою звезду", симфонический оркестр, а также победители фестиваля "FEDEMUS 2014". Специальными гостями программы стали дети, занимающиеся в школе при посольстве Российской Федерации в Белграде, которые поразили зрителей своим яркими костюмами и танцевальными умениями. Почетными гостями стали Эмилия Джонин и Минья Субота, которые вместе с детьми спели наиболее известные детские хиты. Судя по апплодисментам, песня "Свет у мојим очима", с которой Эмилия выступит на Мальте, была хорошо встречена зрителями. Минья Субота также похвалила представительницу Сербии на Детском Евровидении, назвав ее "Наша Селин Дион!" а участники хора сфотографировались с Эмилией на память. Самым юным из всех журналистов, кто взял интервью у Эмилии, был Стефан - ведущий популярной детской программы "Мали дневник", которая выходит на первом канале РТС в Сербии. Стефан, от имени всех своих зрителей, обсудил с Эмилией предстоящее Детское Евровидение, песню, которая будет представлять Сербию на конкурсе, и пожелал ей удачи и хорошего места. Вторая конференция "Teen Talk" была организована местной редакцией журнала "Bravo" и прошла в Белграде. Эмилия Джонин также посетила данное мероприятие. Среди тем, которые обсуждались на конференции были: "Восстание в голове: Как функционирует мозг подростка", или "Близкая встреча с пороком: подростки в лапах алкоголизма, наркомании и игровой зависимости", а также, например "Как быть крутым в интернете". Помимо Эмилии участницей конференции этого года стала представительница Сербии на взрослом Евровидении 2013 Сара Йованович ("Moje 3"), которая пожелала Эмилии удачу на Мальте. В воскресенье, 2го ноября, Эмили приняла участие в программе "Недельно поподне" телеканала РТС 1, где исполнила песню Эми Уайнхаус "Valerie". Короткое интервью с певицей можно увидеть здесь. Live: 9.30 Москвы, Јутарњи програм (Сербия), РТС1, онлайн - будут представлены представитель Сербии и конкурсная песня. Официальный сайт планирует представить песню между 9.15 и 9.30 Москвы. Хештег: #этодевочка. 14-летняя Эмилия Джонин представит Сербию с песней "Свет у мојим очима". Увидеть видеоклип вы можете здесь, а презентацию на телеканале РТС и интервью с певицей - здесь. Информация о певице доступна на странице Сербии. Участие Сербии в Детском Евровидении 2014 было подтверждено 25го июля в телепрограмме "Београдска хроника" на канале РТС 1. 9го сентября РТС выпустило заявление о том, что "из-за отсутствия времени для организационной и технической подготовки открытого отбора, РТС принял решение, что представитель Сербии будет выбран внутренне". Профессиональная команда музыкального отдела РТС ведет переговоры с композиторами для того, чтобы создать наилучшую команду композитора и ребенка-исполнителя. Are you a boy from my dream? Or is it just my fantasy? Ты ли парень из моих снов? Или это просто моя фантазия?